There are few social activities as stressful as the act of cake-cutting at a party. It’s an awful ordeal, being tasked with portioning pieces in a way that feels fair. You’ve got to eyeball carefully, and one miscalculation can result in sad, misshapen wedges. That’s no fun. There’s been a video making the rounds on Instagram peddling a technique that’s been heralded as “mesmerizing” and “ingenious.” The video’s amassed over 1.3 million views. 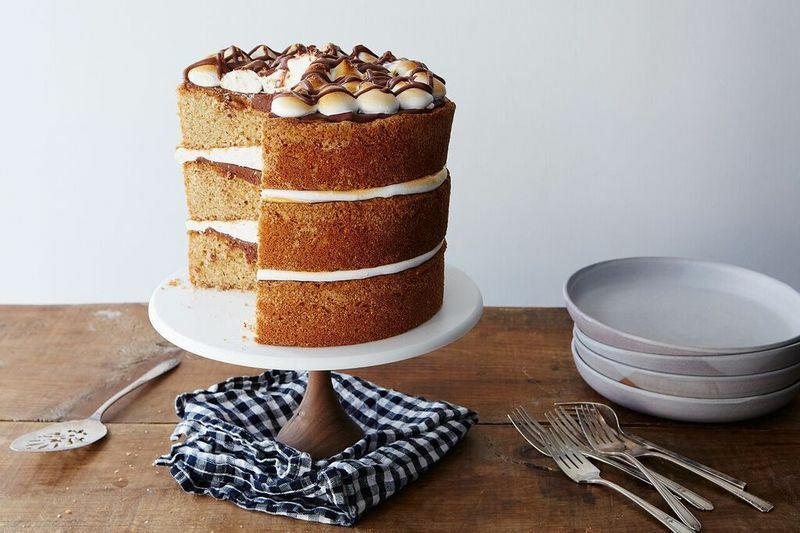 It involves taking a cutting board and knife and slicing the cake horizontally against the cutting board before taking that slab and slicing it into equal-sized strips. Watching it, I gasped at least three times. The blogger behind this is Sydney-based Katherine Sabbath, a reformed high school teacher turned self-described “cake creative.” She’s a frankenfood magician, her aesthetic frenzied and joltingly colorful; Sabbath’s been credited as one of the progenitors of the unicorn food movement.